SWEP Green Teams and Envirolution in the Sierra Sun again!! On Saturday, April 20, TTUSD was a big part of the Tahoe Truckee community celebrating Earth Day. The Village at Squaw Valley was surrounded with TTUSD booths and activities, including a booth showcasing scratch cooking and our new food program under the direction of TTUSD’s Director of Food Services, Kat Soltanmorad, as well as information about big savings and grants made possible by the district-wide energy and waste reduction efforts at the schools, led by TTUSD’s C.E.M./Project Manager, Anna Klovstad. Tahoe Lake Elementary helped children make biodegradable flower pots for native wildflowers and Truckee Elementary educated kids about ways that they can reduce their carbon footprint on the earth. 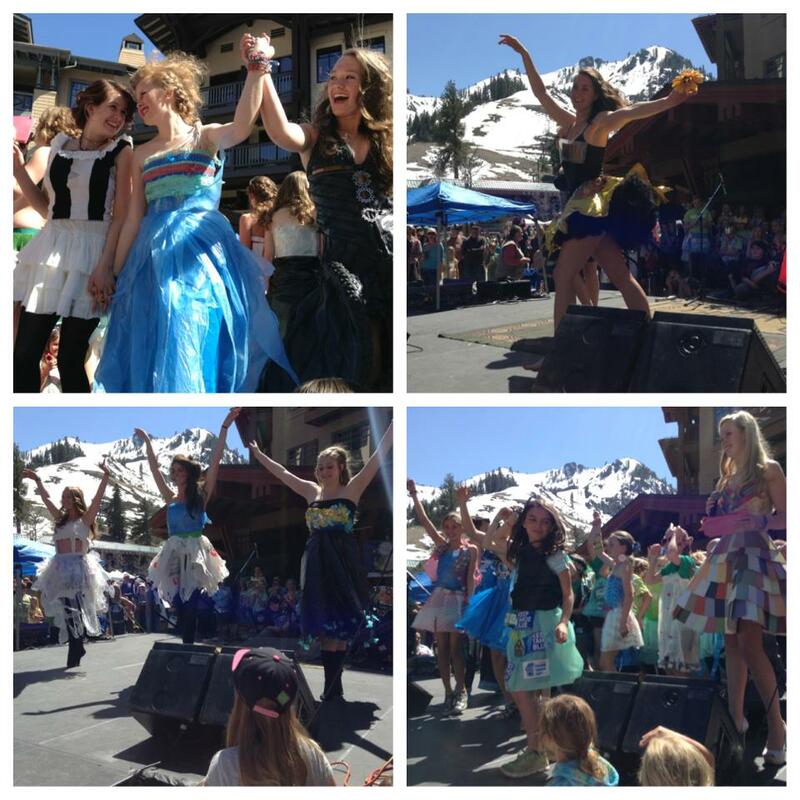 Tahoe Truckee High’s Envirolution Club was once again the highlight of the day with their amazing Trashion Show. 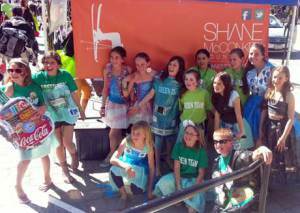 This year, they were joined on stage by the Green Teams of Truckee Elementary, Kings Beach Elementary and Tahoe Lake Elementary. Glenshire Elementary’s Eco Club has so many great green projects going that they had their own full day Earth Day festival on April 22. TTUSD has a lot to celebrate when it comes to going green. Since its inception in 2008, Tahoe Truckee Unified School District’s Sustainability and Energy Conservation Program has been actively saving general fund dollars and CO2 emissions. Together we have saved over $400,000 each of the last two years in electricity and gas alone. The program is continually expanding – recycling, water, purchasing, green cleaning techniques, and more. The enthusiasm of our scholars with our green initiatives and the collaboration that continues to evolve is extremely gratifying. Community organizations such as Sierra Watershed Education Partnerships (SWEP), Sierra Cost Management, and Truckee Tahoe Sierra Disposal have rallied to give guidance and help along with our principals, teachers, TTUSD food service staff, site administrators and custodians–all cooperating to provide hands-on education for our scholars and to save our natural resources. All of this is made possible by the work of our PTOs and with the support of the Shane McConkey Foundation.